When you take a hot shower, steam condenses on the door and runs in rivulets to the tub. A similar process is responsible for rain showers. Weather events such as cold fronts and jet streams push warm air up where it condenses into raindrops. Evaporation and condensation are the two key factors that explain the formation of the water cycle and underlie the process of rain formation. The water pouring out of the kitchen sink may seem new, but it is actually ancient. The Earth is constantly recycling water through a process called the water cycle. Water from streams, rivers, lakes, oceans and even your backyard swimming pool evaporates and becomes water vapor. The vapor rises, condenses in the clouds and falls to the ground again as precipitation. Steam from volcanoes and water released by plants also enter the atmosphere and are part of the water cycle. The importance of rainfall in human life is impossible to overstate. Water is all around you in the form of vapor -- the gas phase. You breathe water in and exhale it back out again. As warm air -- permeated with water molecules -- rises, it cools and the water vapor condenses into liquid drops. The droplets accumulate in the clouds. For example, as a nimbostratus cloud becomes heavy with water droplets, they bump into each other and form bigger droplets. Eventually, gravity wins, and the drops begin to fall. Raindrops fall at a speed between 3 and 8 meters per second (7 and 18 miles per hour) depending on their size. 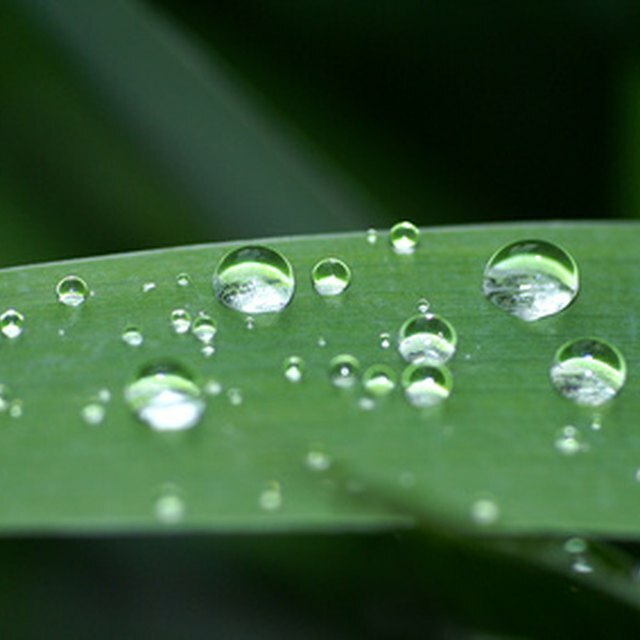 Water droplets don't just condense on their own -- they surround tiny dust particles before they fall to the ground. To combat drought -- times of very little precipitation -- scientists are experimenting with a process called cloud seeding. Seeding stations blow silver iodide particles into the atmosphere to lasso clouds and squeeze out precipitation. 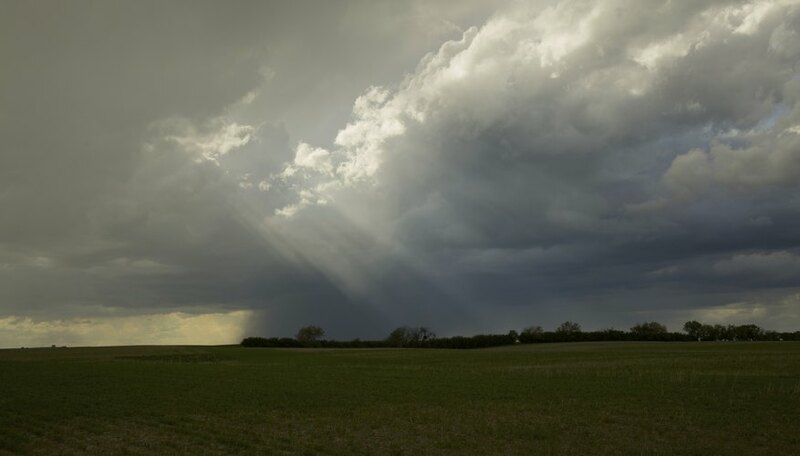 Although the jury is still out on the effectiveness of cloud seeding, researcher Jeff Tilley of the Desert Research Institute in Reno, Nevada, estimates that seeding may increase precipitation by 8 percent to 15 percent. Gentle spring showers feel refreshing, but they can be a source of pollution. Acid rain is the term for precipitation that contains higher than normal amounts of chemicals including sulfuric and nitric acid. Rain can be contaminated by natural sources, like volcanoes, as well as human activities. Acid rain does significant damage to natural ecosystems and forests, particularly in the northeastern United States. Additionally, the chemicals in the precipitation erode buildings and outdoor artwork. Where Does Acid Rain Occur? Robbins, Carolyn. "How Is Rain Formed?" Sciencing, https://sciencing.com/how-rain-formed-4587413.html. 16 July 2018.